Sempai Natalia Smolarz, photo.Radosław Dyduch. people on higher belts including 9 for 1st kyu. 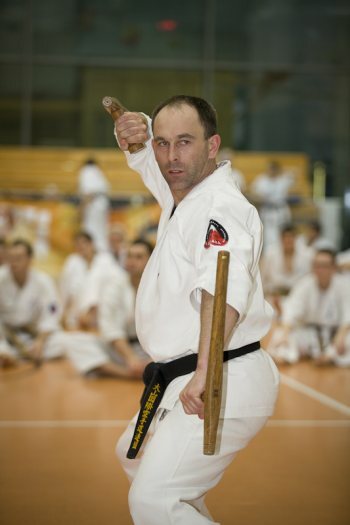 Qualifying Seminar with the Style Creator, Grand Master Shigeru Oyama 10th dan. 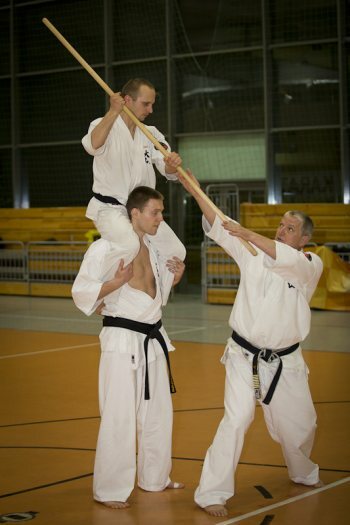 Tonfa kihon 1-3, Taizan and Soki. 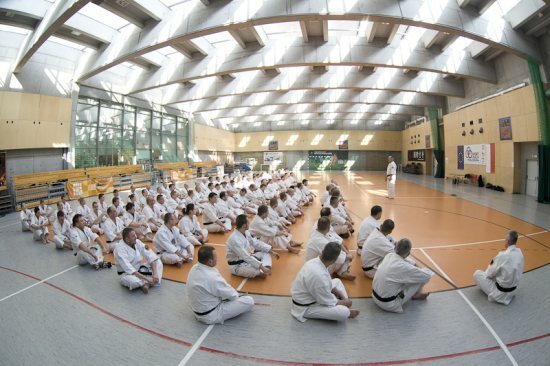 Within the preparations for the international promotion test two All Polish seminars were conducted. There are two months of hard work before the candidates in their local clubs. We wish You good luck, OSU! of “Sport against social exclusion” Krakow city program. Thank You for high attendance, OSU!